Imagine being given the choice: When would you rather enjoy your life, in youth or in old age? That’s the choice in today’s story. Blogger has been difficult to get on lately and then a bit "wonky" even then. Since public domain stories have automatically entered old age, today I started right away with the story in hopes of good fortune. 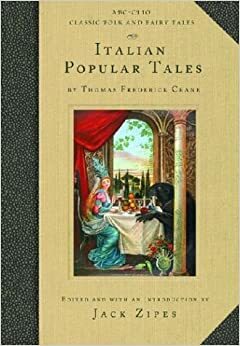 Now I can give "The rest of the story" about Thomas Frederick Crane who created this look into Italian Popular Tales. One of the founders of the Journal of American Folklore, Thomas Frederick Crane, was one of those multi-talented folks who was a lawyer, then became the librarian for the newly founded Cornell University before teaching French, Italian, Spanish, and medieval literature there, next becoming dean of the Arts College and later acting president for Cornell. 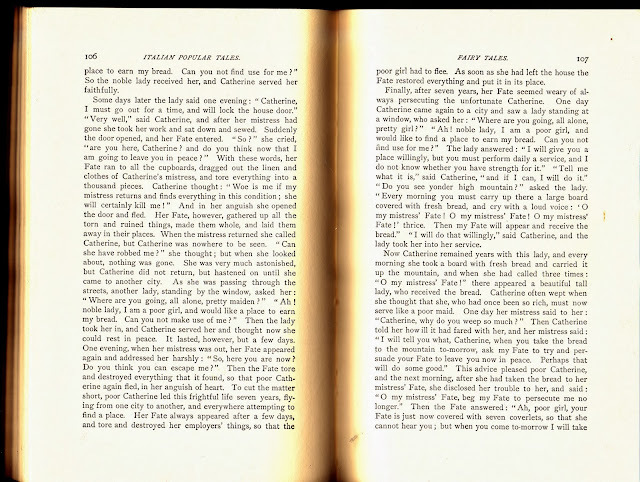 His Italian Popular Tales was an introduction to English speaking readers of folktales, including many stories in the long-published children’s magazine, St. Nicholas Magazine. 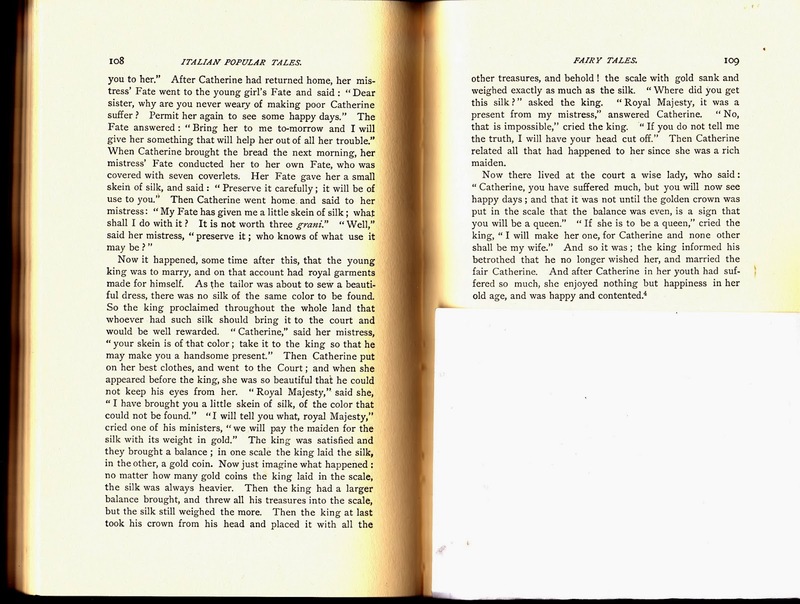 Online, stories from the book without the detailed notes, commentary and indexing can be found at SurLaLune Fairy Tales. 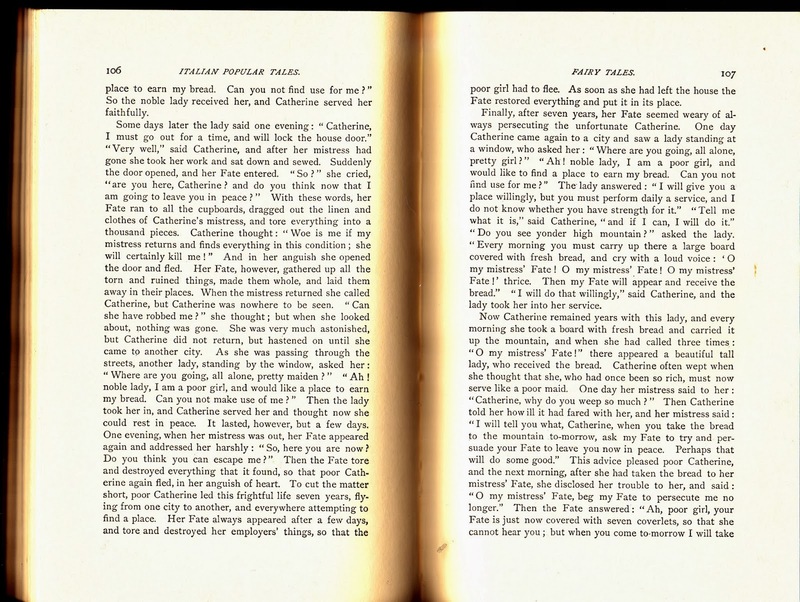 For a more complete online experience,Project Gutenberg gives the entire volume with its 36 fairy tales, 6 “stories of Oriental origin” (Crane loved pointing to the way stories no matter how unique, are linked to many others from around the world), 23 “legends and ghost stories” (an odd combination of tales about saints and other Biblical figures with ghost stories), 14 “nursery tales” – always a designation of stories for young children, 19 jests or amusing stories, plus the previously mentioned notes, commentary and indexing. If you go to the SurLaLune site you will see that two reissues have been published, each with editing and introduction by Jack Zipes. 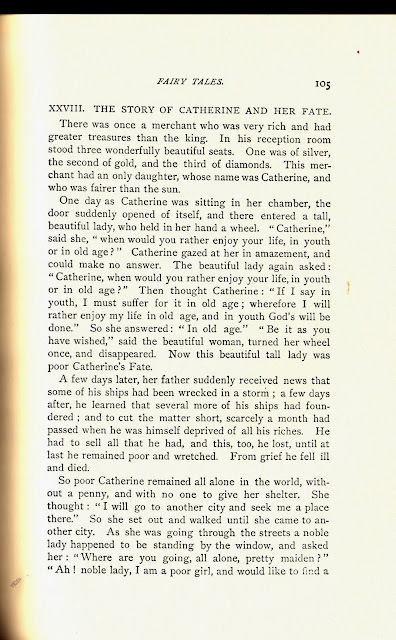 With so much to choose from I found myself drawn to today’s tale because the character was named Catherine. Metro Detroit area Italian-American storyteller, Loretta Vitek, tells an Italian story of “Catherine the Wise.” I’ve grown to love it and wondered if this was another version of it. It wasn’t, but Crane's Catherine certainly made her own choices. 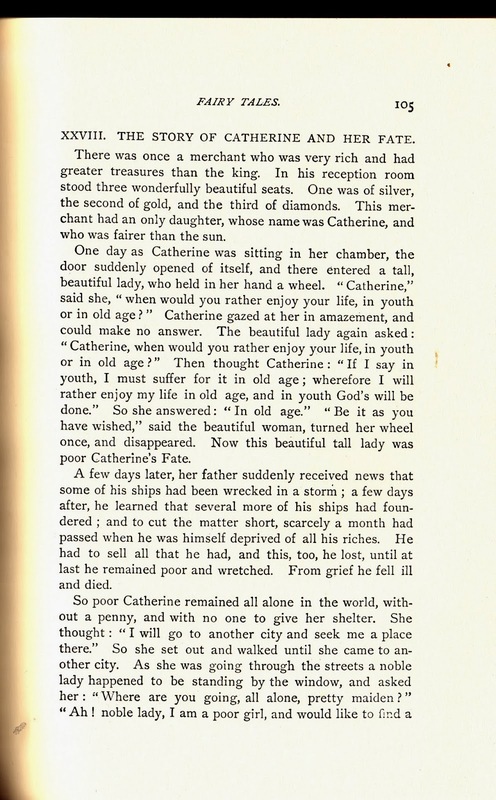 By the way a great version of that Catherine’s story is in Italo Calvino’s excellent Italian Folktales, published in 1956, but first translated into English in 1980. Calvino also gives good notes, but, as you might expect, all sources are in Italian. Thanks for posting this, Lois. I've always loved telling the version in the Calvino book, so this gives me some new things to think about. My pleasure, Marilyn. They are definitely 2 very different stories, but somehow I think they complement each other well. A form of wisdom from each Catherine. The Sky's the Limit !? !